Mr. Turkel is CEO of Turkel Brands, a full-service, multicultural brand management firm located in Miami, Florida. He blogs regularly on marketing, PR & advertising issues and trends. Visit http://turkelbrands.com. Reprinted with permission. What Khosrowshahi clearly understands — and explains so powerfully in this memo — are both the ubiquitous reach of our newly globalized world and its importance to brand builders. Brand value both reinforces — and pre-enforces — your audience’s experience with your business and your brand. In other words, not only does your brand confirm that your consumers had a favorable experience, but it also prepares them for the experience they’re about to purchase. And if you’ve done a good job of building your brand value, then that positive feeling will push the desirability of your products beyond that of your competition. This will increase the chance of trial, purchase, and repeat purchase for your company’s cars, cameras or caviar. 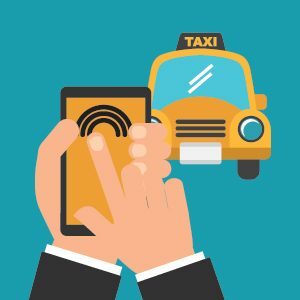 And regardless of whether you’re a plastic surgeon, a keynote speaker or a ride-sharing app, a strong All About Them brand will both reinforce and pre-enforce your potential customers’ purchase experience. Your brand value is the key to your business success.